The Louder Song. Listening for Hope. Why can’t anyone just sit with me and be sad? Why is it that Christians don’t give each other permission to actually feel what they feel? The words to my husband came out more forcefully than I had intended. Everything that had been simmering inside for days was boiling over and he was the unfortunate recipient. He had watched me cry for two days straight as we wordlessly carried the knowledge that someone we loved was hanging onto life moment by moment in an intensive care unit 8000 miles away. He stayed silent because he knew I couldn’t handle anymore well-meaning “let’s just trust God” comments by people smiling and saying it was all going to be okay. The weight of personal anxiety and family tragedies on top of local and global suffering I was carrying was bearing down on me. I can only pretend living in close proximity to suffering doesn’t weigh on me for so long. 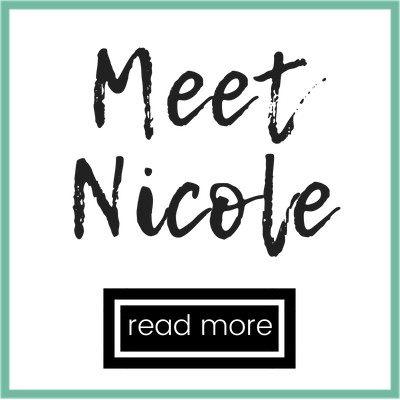 I can try to stuff down the stories of my friend who can’t escape her husband’s anger in a society where women have little voice or power. The eyes of the Rohingya woman who told me about escaping her burning village and trekking ten days to the refugee camp where we sat together burn in my mind. The hatred spewed in my social media feeds. The divisions in our world. More and more, my heart was dying to know how to carry the weight of these things to God. Rote answers and brushing it off wasn’t working anymore. 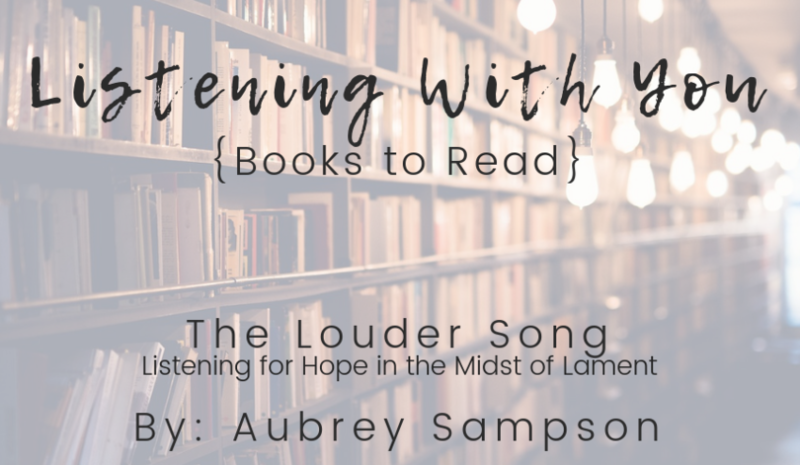 I held my breath when I started reading Aubrey Sampson’s The Louder Song: Listening for Hope in the Midst of Lament. I held onto a prayer that the timing of these words would be a balm to my heart and a lifeline I could hold out to others I knew who were searching for ways to express what they didn’t have the language to yet. “Not all suffering is the clear result of something. Not all suffering is reasonable,” I read. “In our deepest grief, we don’t lament to find answers. We lament to stop searching for them. We lament to be still in the unanswerable.” I exhaled, a groan too deep for words that I know Jesus received as a prayer. Finally, I found the words of someone not rushing in to fix or explain it all. “To lament is to speak to the reality of our formless, chaotic suffering and to ask God to fill it with his very good,” explains Sampson. 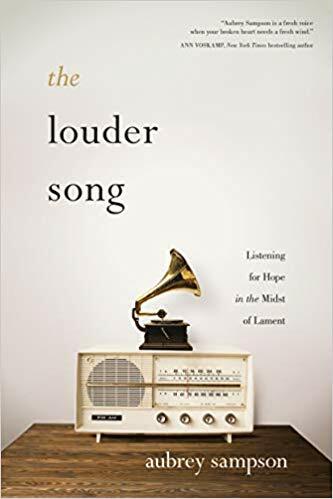 She mixes stories from her own life and others with Scriptural basis for the prayer form of lament, helping us find our way through suffering to restoration. If you’re like me, you never lingered too much on the parts of Scripture that focus on suffering. We all want to rush on to the good stuff, the victory. 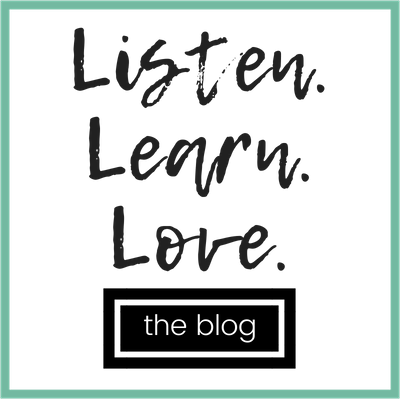 But then when we find ourselves in the midst of suffering (of our own or others) we fumble through the words to express the pain without dismissing the reality of it. We need someone to tell us God can handle our doubts, that not rushing on is okay, and that yes—hope will come, but not without walking through the place we find ourselves first. 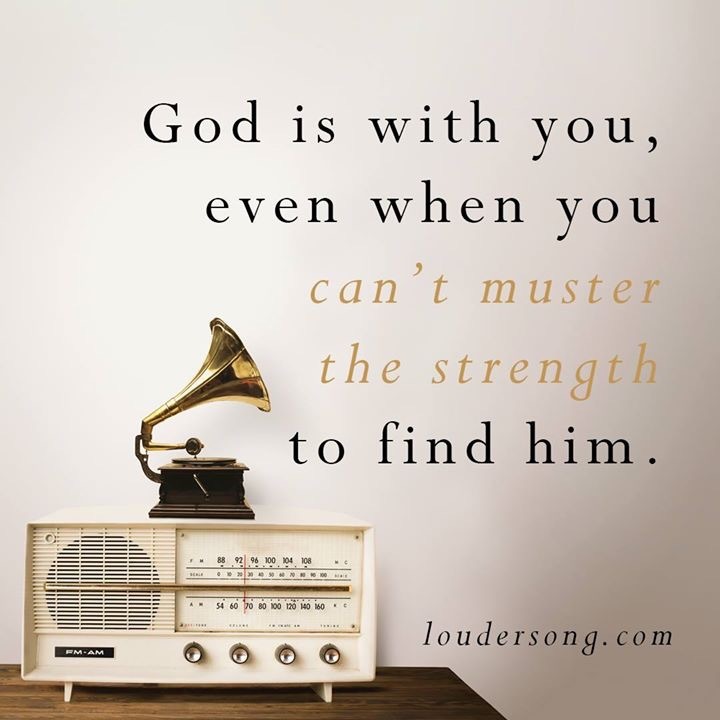 Have you struggled with how to express find God in the midst of suffering? How have you found your way to hope in those times? Where can you see a need for lament in your life or in our world? If you have had an experience with this expression of prayer, can you share how lament has helped you on the way to healing?